Starring: Kirk Douglas; Laurence Olivier; Peter Ustinov; Charles Lauhghton; Jean Simmons; Tony Curtis. Let’s start with a confession: I’m not particularly fond of swords and sandals, I’m neither a fan of Stanley Kubrick nor one of Kirk Douglas, and what’s more I’m a bit scared of films running for more than 3 hours. Anyway, Spartacus is a different question. 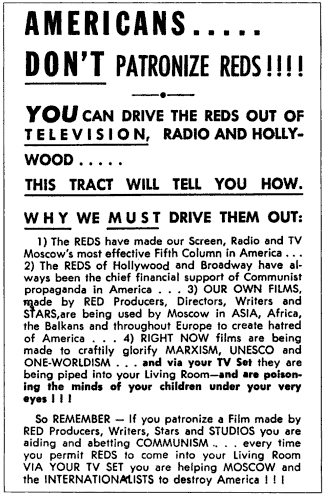 Both Fast and Trumbo had been in fact victims of the so called Second Red Scare, the McCarthyism era, the anti-communist paranoia spread around the United States after WWII that had lead to a fear campaign raising psychosis over the influence of “communist agents”on the American institutions and culture. Howard Fast, the author of the novel on which the movie is based, a well-known writer who had worked during WWII for the United States Office of War Information, writing for Voice of America, had made the “mistake” to join in 1943 the Communist Party USA. In 1950, once called before the the House Committee on Un-American Activities, he had refused to “name names” of contributors to a fund for a home for orphans of American veterans of the Spanish Civil War (among them Eleanor Roosevelt). For that reason he served a three-month prison sentence for contempt of Congress. During his imprisonment Fast started Spartacus, the novel about a man, a slave, who fought against an oppressive political system. Blacklisted by major publishers, Fast self-published his novel in 1951. 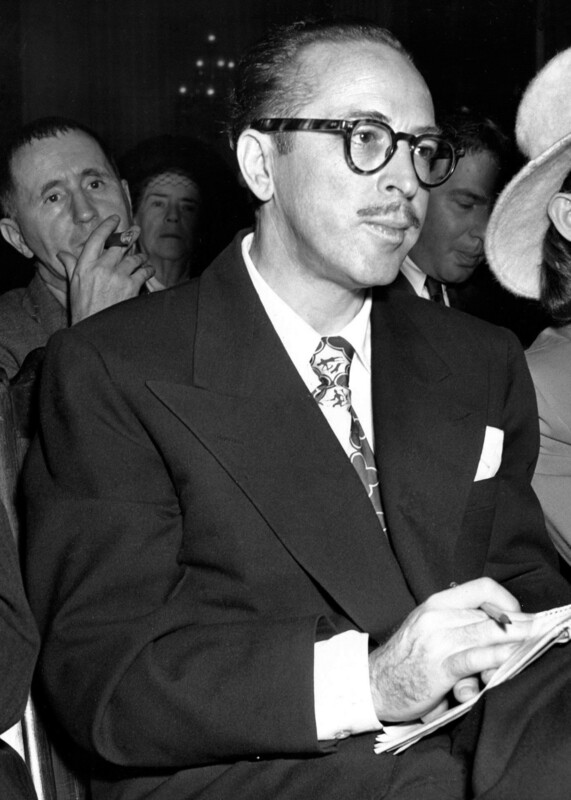 Dalton Trumbo too had had troubles with the House Committee on Un-American Activities. 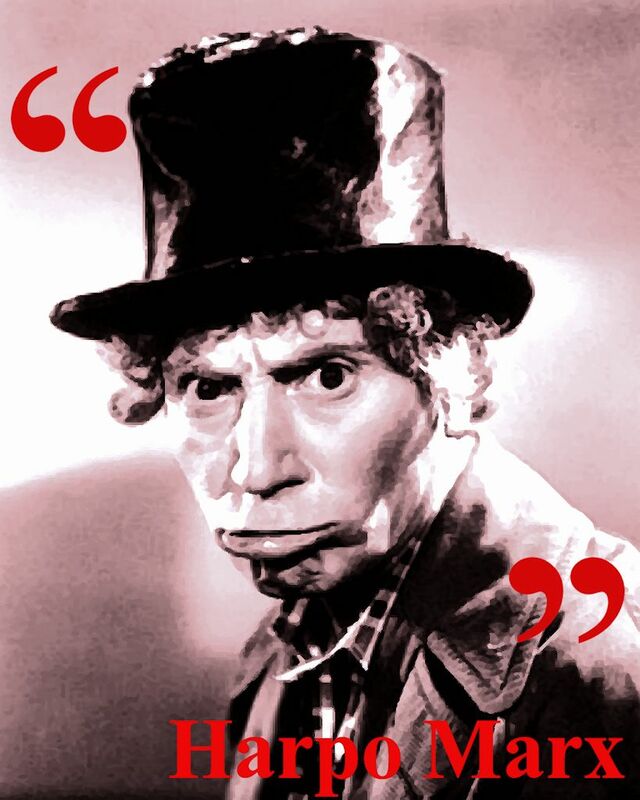 In 1947, when he was one of the most appreciated screenwriters in Hollywood, his name ended in a list of communist sympathizers appeared in the Hollywood Reporter. Summoned with other writers and directors, the so called Hollywood Ten, by the House Committee on Un-American Activities he refused to name names (the only way to avoid any sort of punishment). Trumbo was convicted for contempt to the Congress and blacklisted from Hollywood. In 1950 Trumbo served an 11-month imprisonment in the federal prison in Ashland, Kentucky. After completing his sentence he resumed his work as screenwriter working under pseudonym or using fronts for a decade (in that period he wrote among the others Roman Holiday whose credits were fully restored only in 2011). 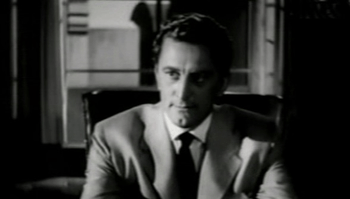 Anyway, Kirk Douglas, who was not only the protagonist of Spartacus but also its producer (he owned Bryna Productions), decided to make this film not because of an assault of idealism, and in fact when it became necessary to shoot some additional battle scene he had no troubles sending the film crew in Spain, still ruled by the fascist dictator Francisco Franco, using Spanish soldiers as extras and paying what can be called a bribe to a charity ruled by Franco’s wife. Though disgusted by the blacklisting, he purchased the rights for the novel cause disappointed for failing to win the title role in William Wyler’s Ben Hur, because the rights were cheap and because people used to flock to theatres to watch swords and sandals. Persuading Laurence Olivier, Charles Laughton and Peter Ustinov to play in Spartacus he also convinced Universal Studios to finance it, despite the film was based on a novel written by a famous “commie”. Douglas hired Trumbo, because Fast who had to write the script was a mediocre screenwriter: he needed someone who could write fast and who could make a good job and Trumbo was the right man for this. Anyway not to alarm Universal (that could decide to abandon the project) Trumbo’s contribution was kept a secret and he disguised himself under the pseudonym of Sam Jackson. Peter Ustinov, rewriting almost every single Batiatus’ scene, lead Trumbo to threaten to abandon the project. Only at that point, Kirk Douglas promised him that his name, his real name, was going to appear in the opening credits, an hazard kept secret till the end of the shooting. Only after the first test screening and after Kubrick proposed to use his name as screenwriter (a thing Douglas found revolting), Trumbo involvement was announced. Douglas asked to Universal a pass for Dalton Trumbo, allowing the screenwriter to walk on a studio lot for the first time in ten years. The same year Trumbo wrote openly the script for another blockbuster, Exodus directed by Otto Preminger. The movie was released on October 1960 provoking the reaction I told you about. On february 1961 the new elected President John Fitzgerald Kennedy had to cross picket lines to enter a theatre and watch the movie. 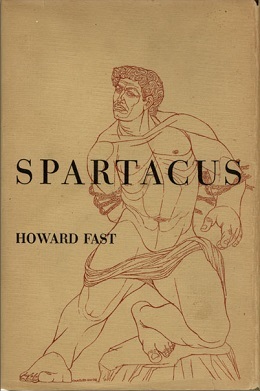 No matter why Spartacus was made, once released the blacklist was ended, broken by a movie who also used events happened two thousand years earlier to talk about America consumed with Red Scare (corrupted politicians, Crassus compiling lists of enemies, the defeated slaves refusing to identify Spartacus – to “name names” – in the famous scene when they stand up shouting “I am Spartacus!”). If you want to know more about the making of Spartacus you can read “I Am Spartacus! Making a Film, Breaking the Blacklist” by Kirk Douglas (2012). Anyway, if you’re not scared of movies running for more than 3 hours, Spartacus is worth watching. Kitty Foyle – USA 1940 Directed by: Sam Wood. Starring: Ginger Rogers; Dennis Morgan; James Craig. Thirty Seconds over Tokyo – USA 1944 Directd by: Mervin LeRoy. Starring: Spencer Tracy; Van Johnson; Robert Walker. Roman Holiday – USA 1953 Directed by: William Wyler. Starring: Audrey Hepburn; Gregory Peck; Eddie Albert. Written by: Ian McKellan Hunter (front, credit was reinstated in 2003 for the DVD release. Full credit was restored in 2011). Exodus – USA 1960 Directed by: Otto Preminger. Starring: Paul Newman; Eva Marie Saint; Sal Mineo; Peter Lawford. Papillon – USA 1973 Directed by: Franklin J. Shaffner. Starring: Steve McQueen; Dustin Hoffman. (written with Lorenzo Semple Jr; book byHenry Charrière). Per iniziare, una confessione: cappa spada e sandali non mi appassionano, non sono una fan né di Stanley Kubrick né di Kirk Douglas, e inoltre i film che durano più di 3 ore mi fanno un po’ paura. Spartacus però è tutta un’altra storia. Innanzitutto, è un grande dramma epico che parla di avvenimenti realmente accaduti, quelli della Terza Guerra Servile che ha visto un gruppo di ex-schiavi fuggitivi (cresciuto fino a comprendere più o meno 120000 uomini donne e bambini) opporsi nientemeno che alla Repubblica Romana tra il 73 e il 71 a.C. e il protagonista, Spartaco lo schiavo divenuto gladiatore e poi leader della rivolta degli schiavi, è un personaggio storico realmente esistito. Poi ci recitano un sacco di grandi attori come Laurence Olivier (nel ruolo di Crasso, il generale e politico romano che sconfigge i ribelli e ordina la crocefissione lungo la via Appia dei superstiti), Charles Laughton (il senatore Sempronio Gracco), Peter Ustinov (Lentulo Batiato, il proprietario della scuola di gladiatori di Capua in cui Spartaco è condotto per essere addestrato nel combattimento), Jean Simmons (Varinia la schiava che sposa Spartaco), Tony Curtis (Antonino, lo schiavo di Crasso) e lo stesso Kirk Douglas (nel ruolo di Spartaco): un cast di stelle che da solo basterebbe a raccomandare la visione di qualsiasi film. Ovviamente nel film tutto è romanzato, c’è amore, sangue, idealismo, corruzione e battaglie epiche ma quello che rende Spartacus un film davvero speciale accade prima, dopo solo 97 secondi dall’inizio della pellicola, mentre scorrono i bellissimi titoli di testa disegnati da Saul Bass, quando sullo schermo compaiono due semplici righe:“ screenplay by Dalton Trumbo / based on the novel by Howard Fast” (sceneggiatura di Dalton Trumbo / tratto dal romanzo di Howard Fast). Queste due righe innocenti nel 1960, anno dell’uscita americana, provocarono le reazioni scomposte della National Leagion of Decency che picchettò i cinema in cui il film veniva proiettato e di Hedda Hopper, una delle lingue più velenose di Hollywood, che disse: “La storia è tratta da un libro scritto da un comunista e la sceneggiatura è scritta da un comunista, quindi non andate a vederlo!”. Sia Fast che Trumbo erano stati infatti delle vittime della cosiddetta Seconda Paura Rossa, il Maccartismo, quella paranoia anti-comunista che si era sparsa come un virus negli Stati Uniti del secondo dopoguerra provocando una campagna tesa a far crescere la psicosi per un’occulta influenza di “agenti comunisti” sulle istituzioni e la cultura americane. Howard Fast, l’autore del romanzo da cui è tratto il film, un ben noto scrittore che aveva lavorato durante la seconda guerra mondiale per Ufficio della Propaganda di guerra, scrivendo per Voice of America, aveva commesso il fatale “errore” di iscriversi al partito comunista americano nel 1943. Nel 1950, convocato dalla Commissione per le Attività Antiamericane, si era rifiutato di fare i nomi dei contributori di un fondo in favore degli orfani dei veterani americani della Guerra Civile Spagnola (tra loro c’era anche Eleanor Roosevelt). Per quello che fu considerato un “oltraggio al Congresso degli Stati Uniti” fu condannato a tre mesi di prigione. Fu proprio in galera che Fast iniziò Spartacus, il romanzo che parla di uno schiavo che si ribella ad un sistema politico oppressivo. Finito nella lista nera e scartato come autore dalle maggiori case editrici fu costretto a pubblicare a sue spese quello che doveva diventare il suo romanzo più famoso. Anche Dalton Trumbo si era scontrato con la Commissione per le Attività Antiamericane. Nel 1947, quando era uno dei più apprezzati sceneggiatori di Hollywood, il suo nome era finito in una lista di simpatizzanti comunisti pubblicata dall’Hollywood Reporter. Convocato con altri scrittori e registi, i cosiddetti Dieci di Hollywood, dalla Commissione per le Attività Antiamericane si era rifiutato di “fare i nomi” di altri comunisti (unico modo per scampare a possibili punizioni). Trumbo era stato condannato per oltraggio al Congresso ed era finito nella lista nera di autori, registi ed attori sgraditi a Hollywood. Nel 1950 era quindi finito in prigione per 11 mesi. Dopo aver scontato la pena Trumbo riprese la sua attività come sceneggiatore lavorando sotto pseudonimo o usando prestanome per un decennio (in quel periodo scrisse tra gli altri Vacanze Romane. Il suo contributo alla sceneggiatura ricevette pieno credito solo nel 2011). Comunque Kirk Douglas, che di Spartacus non fu solo il protagonista ma anche il produttore (la Bryna Productions era sua), non decise di fare questo film per un assalto di idealismo, ed infatti quando fu necessario girare un certo numero di nuove scene di battaglia non esitò a farle girare nella Spagna del dittatore Francisco Franco usando come figuranti dei militari spagnoli e pagando quella che non può che essere definita una tangente ad una fondazione della moglie del dittatore fascista. Anche se disgustato dalle liste nere di Hollywood, acquisì i diritti del romanzo perché deluso dall’aver mancato l’ingaggio come protagonista del Ben Hur di William Wyler, perché i diritti costavano pochissimo (un centinaio di dollari) e perché niente come cappa spada e sandali riuscivano all’epoca a riempire le sale cinematografiche. Dopo aver persuaso Laurence Olivier, Charles Laughton e Peter Ustinov a recitare in Spartacus, Douglas riuscì anche a convincere la Universal a finanziarlo, nonostante il romanzo da cui il film era tratto fosse stato scritto da un noto comunista. Kirk Douglas scritturò Trumbo, perché Fast che avrebbe dovuto scrivere anche la sceneggiatura si rivelò un mediocre sceneggiatore: aveva bisogno di qualcuno capace di scrivere velocemente e bene e Trumbo era l’uomo giusto per quel lavoro. In ogni caso, per non allarmare la Universal (che avrebbe potuto decidere di abbandonare il progetto) il contributo di Trumbo rimase un segreto e lui si nascose dietro lo pseudonimo Sam Jackson. Peter Ustinov riscrivendo in continuazione le scene in cui era presente il suo personaggio, spinse Trumbo a minacciare l’abbandono del progetto. Fu solo a quel punto che Kirk Douglas gli promise che il suo nome, il suo vero nome, sarebbe apparso nei titoli di testa del film, un azzardo che rimase un segreto fino alla fine delle riprese. Solo dopo i primi test screening e dopo che Kubrick aveva proposto di mettere il suo nome nei titoli di testa come sceneggiatore (cosa che disgustò Douglas), la partecipazione di Trumbo al progetto diventò di dominio pubblico. Douglas richiese un pass per gli Universal studios a nome di Dalton Trumbo, permettendo allo sceneggiatore di rimettere piede in uno studio cinematografico dopo un decennio. Quello stesso anno Trumbo firmò, completamente alla luce del sole, anche la sceneggiatura di un altro blockbuster, Exodus diretto da Otto Preminger. Spartacus uscì nell’ottobre del 1960 provocando le reazioni scomposte di cui vi ho già parlato. Nel Febbraio del 1961 anche il neo eletto Presidente John Fitzgerald Kennedy dovette passare attraverso un picchetto per andare a vederlo. Non importa la ragione per cui si decise di realizzare Spartacus, quello che conta è che una volta uscito nelle sale la lista nera era finita, sconfitta da un film che riportando eventi risalenti a duemila anni prima parlava anche della situazione dell’America consumata dalla paranoia maccartista (politici corrotti, la compilazione di liste di nemici fatta da Crasso e il rifiuto degli schiavi ormai sconfitti di riconoscere Spartaco – di fare nomi – nella famosa scena in cui tutti si sollevano gridando “Io sono Spartaco!”). (il regista di questo corto, John Berry, una volta uscito il film finì a sua volta sulla lista nera e fu costretto a trasferirsi in Francia). Se invece volete sapere qualcosa di più su come nacque Spartacus (il film ovviamente) vi consiglio la lettura di “Io sono Spartaco!- Come girammo un film e cancellammo la lista nera” di Kirk Douglas (2012) edito in italia da Il Saggiatore. Comunque, se i film che durano più di tre ore non vi spaventano vale la pena di vedere anche Spartacus. Kitty Foyle, ragazza innamorata – USA 1940 Diretto da: Sam Wood. Con: Ginger Rogers; Dennis Morgan; James Craig. Missione Segreta – USA 1944 Diretto da: Mervin LeRoy. Con: Spencer Tracy; Van Johnson; Robert Walker. Vacanze Romane – USA 1953 Diretto da: William Wyler. Con: Audrey Hepburn; Gregory Peck; Eddie Albert. Written by: Ian McKellan Hunter (prestanome, la sceneggiatura fu riattribuita a Trumbo non ufficialmente nel 2003 con l’uscita del DVD, dal 2011 il suo nome è tornato nei titoli di testa del film in modo ufficiale). Exodus – USA 1960 Diretto da: Otto Preminger. Con: Paul Newman; Eva Marie Saint; Sal Mineo; Peter Lawford. Papillon – USA 1973 Diretto da: Franklin J. Shaffner. Con: Steve McQueen; Dustin Hoffman. (sceneggiato con Lorenzo Semple Jr; dal libro di Henry Charrière). Posted by Ella V on 06/04/2014 in Cinema, Movies and tagged Dalton Trumbo, Hollywood Ten, Kirk Douglas, McCarthyism, Spartacus. Sono molto felice di saperlo, grazie!